Amazon has just announced the list of new TV series and movies to hit the subscription-based streaming service this July, including a number of highly anticipated classic films and recent seasons from beloved shows like Suits, Hannibal and Defiance. Prime subscribers can stream or download these shows and movies at no additional cost to their membership. The Emmy-nominated children’s show Gortimer Gibbon’s Life on Normal Street, an Amazon original, will also be made available through season 2B on Prime Video next month, as will the cult-classic Tarantino films Kill Bill Vol. 1 and Vol. 2. 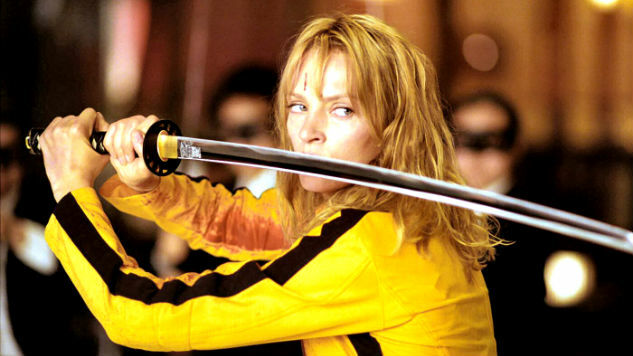 The Kill Bill duology will join other esteemed Tarantino films already in Amazon’s roster, including Reservoir Dogs, Pulp Fiction and Four Rooms. Amazon Video also will see a host of new titles available for purchase in July, including recent blockbusters like The Boss and Batman v Superman. As for TV, children and adults alike can enjoy the latest seasons of Mr. Robot, The Grim Adventures of Billy and Mandy and Suits. These new shows join series and movies that are already purchasable on Amazon Video, such as Curb Your Enthusiasm and Ghostbusters, which fans will enjoy binging before their revivals later this summer. Amazon’s third-party subscription service, which offers membership to Showtime, STARZ and many more, will introduce the season two finale of Outlander and the season three premiere of Power in advance of its wide release. Also coming to STARZ is kid-friendly Pixar film The Good Dinosaur. Check out the full list of TV and movies coming to Prime and Amazon Video next month below.